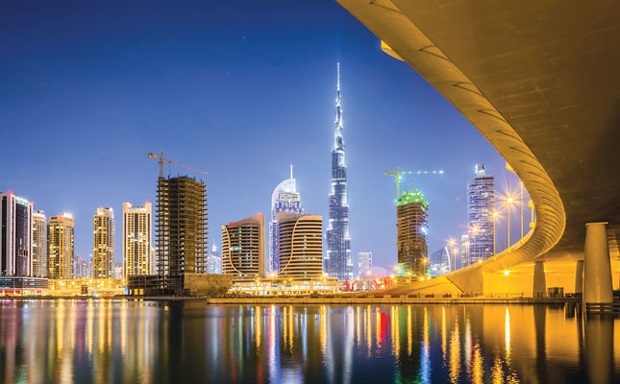 Dubai rental law: a timely refresh? The Dubai Land Department (DLD) announced a new rental law in the works that will enhance transparency in real estate leases. Calling the new regulation a smart rental index, the DLD is making the switch from a one-size-fits-all index to a more specific benchmark for each type of asset class, whether residential, office, retail, health care or schools. The index will also include sub-categories based on how a property is maintained or built. Law No. 26 of 2007, as amended by Law No. 33 of 2008, regulates the relationship between landlords and tenants of all types of real estate in Dubai. The rental dispute settlement centre (RDC) was established in 2013 as a judicial arm of the DLD to resolve rental disputes. The RDC and the introduction of a rental cap and rental index has been quite revolutionary in the existing relationship between a tenant and a landlord, says Philip Sequeira, head of property regulatory at Hadef and Partners. Sequeira says the present law covers all leases in Dubai, except specific free zones. However, there still exists confusion on several issues such as the rental index, application of certain provisions vis-à-vis commercial leases, malls, schools, industrial facilities and so on. Therefore, the authorities have moved to clarify the treatment of different types of leases, which will eliminate the ambiguity that currently exists in several provisions in the law, says Sequeira. He also believes it would also be good to see more regulation applied in respect of security deposits, while establishing a central authority that could hold and regulate these. The rental market benefits from the index, which is updated yearly using information from the Ejari registration, as it allows both tenants and landlords to determine the correct rental value of a property, while preventing excessive increases, says Laura Anderson, leasing manager at Exclusive Links Real Estate. Anderson says that the unified lease contract recently introduced has also helped enhance transparency in the market as agents and landlord will have to use same contract. She says the contract format could still be improve further by creating unified template for any addendum on the contract. The tenants and landlords use the rental index to understand the leases applicable in an area as well as the amount by which current rent can be increased. Sequeira says even the RDC relies on the rental index when determining disputes on rents between landlords and tenants. However, it has some limitations. “The index does not differentiate between types of properties in the same class i.e. residential inside gated communities or with specialist facilities, and there is a lack of clarity on its application to certain shopping malls or commercial areas,” says Sequeira. “There is also confusion when applying the rental index on old and new properties. Although the index covers, residential, commercial, retail, industrial and staff accommodation, there still seems to be a problem when it comes to specific areas and zones. Similarly, schools and hospitals are not covered by the index. ‘Therefore, the commercial terms agreed between the landlord and tenant apply, which sometimes could be disadvantageous to the tenant,” says Sequeira. He says the present index has its flaws when referring to it to determine potential rent increases. “It could be good or bad, depending on which side of the fence you are sitting on,” says Sequeira. “For instance, an old dilapidated building of 30 years falls in the same rental index as that which is just a year old. It is also possible that the old building might not have the same facilities like that of a new building and also may or may not be in a gated community with extra commercial facilities, yet the same index will apply. Once all information is inputted, the index will advise if an increase in rent is due or not. “Given that there is limited information required to input within the present structure, it, therefore, gives only an average answer. When more points of information are added such as facilities, quality, age, shell and core, etc., a more accurate figure will be given, so both tenants and landlords will benefit from this fairer system,” says Volpi. Any change that will improve the property sector is welcomed, but Volpi says there must be public awareness about the new policy. Agencies, landlords, sellers, tenants and buyers, in particular, must be made aware of the changes. Rajshekar believes that classifying properties based on quality, facilities, maintenance, amenities, etc., will help set a benchmark for the market to build better-quality projects and to provide quality maintenance.